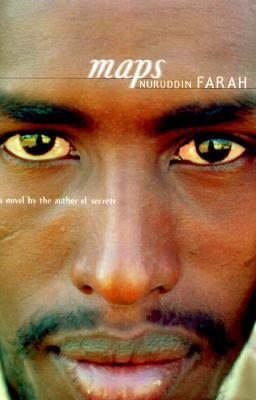 "In this novel, Farah tells the story of the orphan Askar. Before he is born, Askar has lost his father to the bloody war dividing Somalia and Ethiopia, and his mother dies giving birth to him. It is only thanks to Misra, a kindhearted woman who discovers him next to his mother's corpse and takes him into her home, that he survives. But Askar is a true child of his times, and as he matures he begins to feel suffocated by life in Misra's small village. As a young adolescent seeking perspective on both his country and himself, Askar goes to live with his cosmopolitan aunt and uncle in the capital, Mogadiscio." --BOOK JACKET. "It is a turbulent and dangerous time in Mogadiscio, as Somalis struggle to re-create a national identity that has been destroyed by the upheavals of modernity and the betrayals of their never-ending civil war. Each day is punctuated by renewed outbreaks of violence. Askar throws himself into radical political activity that continually challenges the murky boundaries of his own being just as each "revolution" redefines Somalia's own borders. In the turmoil of coming events, as allegations of murder and treason are leveled at Misra, those personal and political boundaries will be challenged with a ferocity Askar had never imagined." --BOOK JACKET.